Rosin Plate Kit 6"x4" - FREE Shipping! > » Rosin Plate Kit 6"x4"
Product Code: Rosin Plate Kit 6"x4"
0 reviews Write a review for Rosin Plate Kit 6"x4"
This is the Best Value Vacs 6" x 4" Rosin Plate Kit. 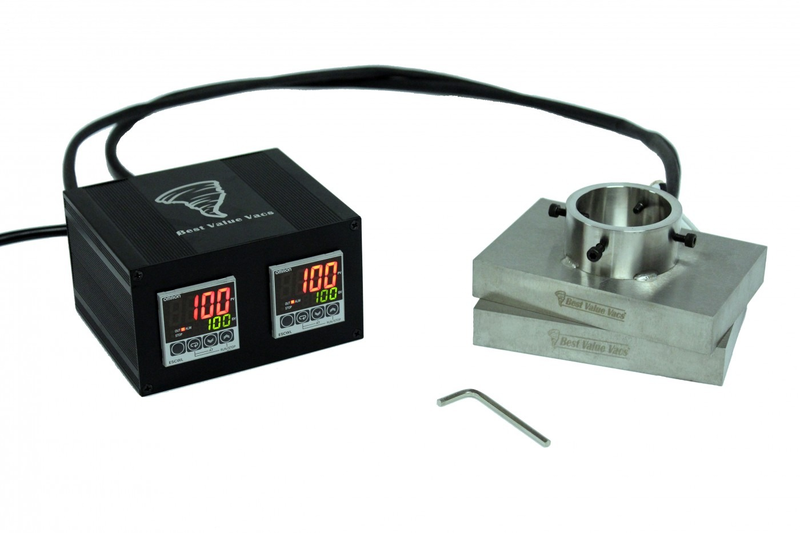 Attach the plates to your own shop press using the hardware provided and convert your shop press into a commercial-grade rosin press! Custom rosin platens are essential for both the commercial producer and serious enthusiast alike. There's simply no better alternative- attach these high-quality, stainless-steel heating plates to a press to give yourself complete control over every element and variable in your process. We use dual heating rods, SS316, and the latest in thermodynamics technology to ensure a stable and uniform temperature across the entire plate's surface. There are no reviews for Rosin Plate Kit 6"x4"
Write a review for Rosin Plate Kit 6"x4"